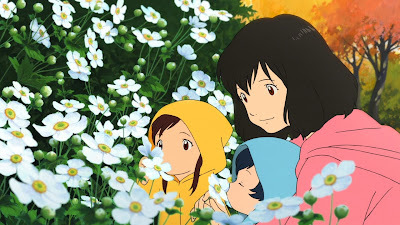 Propeller Anime: Anime Nite Orlando: Holiday Charity Drive with Wolf Children! Anime Nite Orlando: Holiday Charity Drive with Wolf Children! Propeller Anime presents the final Anime Nite Orlando of the year and we're going out on a very high note! It will be on Thursday, December 12th at Bikkuri Lounge(1919 E. Colonial Dr. Orlando, FL). We're going to pair up with the charity organization One Hope United to make sure kids less fortunate have a wonderful holiday this year! Please bring kid-appropriate items you have like toys, stuffed animals, boardgames, blankets, manga, graphic novels, and books. If you aren't sure if it's good to bring just ask! We'll open up the night with something fun! TBD! Of course, the bar will be open with 2-for-1 beers and Bikkuri will have a delicious menus like always! Doors open 8pm. No cover. Must be 18+ with I.D.